I’m really starting to buy into the concept that Facebook Fan Pages are the most effective tool at generating leads. And I want to quickly give an example of how a Facebook Fan Page can be used to generate leads for a mortgage company. This is all hypothetical of course, since I don’t own a mortgage company, nor am I generating leads for a mortgage company. But my point here is to show how I would do it if I had to, or if I owned a mortgage company. I would start by asking myself the question, “what’s most important to a mortgage customer?” Regardless of whether someone is a new homebuyer or looking to refinance their existing mortgage, more than likely everyone is initially concerned with interest rates. Now that I’ve answered the question, “what’s most important to mortgage customers?” I’m ready to put my Facebook Fan Page into action to start generating leads. If my mortgage company already an existing website, then this is super easy to achieve. I would simply take my Facebook Fan Page box and embed it directly into my website. The fan box would be positioned so that it’s seen on every page within my site, and also positioned so that people’s attention are drawn to it to quickly become a fan of my mortgage Facebook Fan Page. If my mortgage company is new and I’m just starting out, then I would actually build a website upon the WordPress blogging platform. This way I can have a powerful blog integrated into my mortgage website. 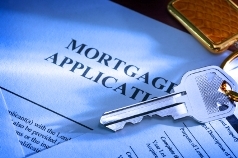 The blog would be utilized to generate a lot of high quality mortgage related content. And in the sidebar, or at the top of the blog, would be my Facebook Fan Page fan box. Again, this would allow people to quickly and easily become a fan of my Facebook Fan Page. And then when someone filled out the form and submitted their information, the mortgage company would have someone new to follow up with. The problem with email subscription forms is they have very low conversion rates – meaning, very few people fill out the form compared to the number of people that visit your website. With Facebook Fan Page fan box on your mortgage website or mortgage related blog, people don’t have to fill out any forms nor have to go back to their email inbox to verify they’ve subscribed to receive your information. A Facebook fan box allows people to become a fan of your Facebook Fan Page with one click – that’s it. The simplicity of getting new fans to your Facebook Fan Page allows you to spend more of your time focusing on communicating with your new mortgage leads, instead of having to manage complex email form submissions. Plus, with people only having to click a button once (the “Become A Fan” buttong) – your mortgage website will dramatically increase fan conversions (lead conversions). As the fans increase on your mortgage related Facebook Fan Page, you now simply need to provide high quality information – the type of information that is most important to your potential mortgage customers. That’s why the first thing I did is ask and answer the question – what is most important to potential mortgage customers? Sending out valuable mortgage information on a regular basis will allow your Facebook Fan Page fans to see your specific mortgage company more often than your competitors. Plus, with high quality mortgage information that you are sending out for free, you’ll build a strong reputation with your fans and increase your chances of mortgage customer conversions. So if I had a mortgage company, or I was in charge of generating leads for a mortgage company, that is how I would leverage the power of a Facebook Fan Page!